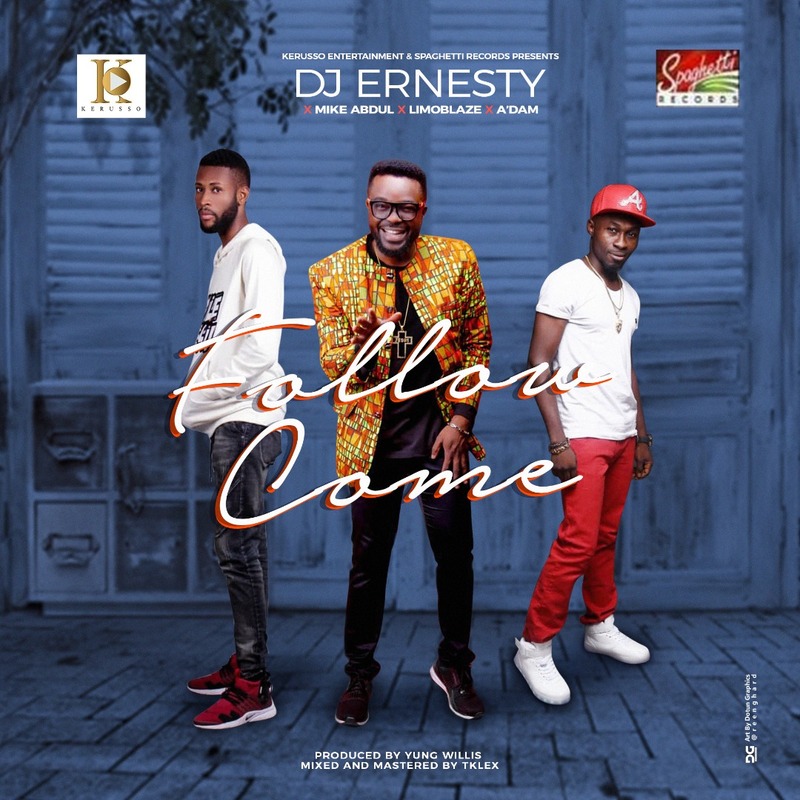 Curled out from The Great Commission 2 album is a brand New Joint titled “Follow Come” which features a veteran Gospel music minister and anointed singer Mike Abdul which also features Spaghetti Records star Vocalist and singer A’dam and one of Nigeria’s ace rapper and singer Limoblaze . This is a song of spiritual battle which portray the story of young David against the Philistine Goliath “You come against me with sword and spear and javelin, but I come against you in the name of the LORD Almighty” (1 Samuel 17:45). Greater is he that is in You than he that is the world. Jesus Came so that we can have life and have it abundantly. The song was produced by Yung Willis Give Dem.